The largely unwritten dueling practices and history of the Nords, discussed in Part 1, represent the polar opposite of the Altmeri practices. An unwritten rule in the Summerset Isles is rarer than an albino Lilmothiit. Many references to dueling in Altmeri culture, therefore, rarely can afford to discuss anything beyond the most basic tenets, which range from chivalrous to pointless. I hope to give you a broader picture, from what I’ve read and seen. It is quite a broad picture, I’m afraid. Please forgive the length. Dueling is a fact of history in Summerset, and therefore, an indispensable part of society. However, much of their society serves to discourage dueling and its harsher forms. The great majority of duels are to first blood, and legally dueling to the death in the Summerset Isles is phenomenal. The stakes must be enormous, and the match all but perfect. But in favor of the traditional Altmeri dueling system, I must say this: duels are rarely both despicable and legal. Some isolated cases in history are blown out of proportion precisely because they’re so sensational. When legal duels do happen, they tend to be honorable ones – or at least, neutral – and there are very few which I would have felt ashamed to witness. Bored, maybe, but not ashamed. Like all Tamrielic cultures, the popularity and stakes of dueling in Summerset – and gladiatorial contests in general – tend to increase during times of great strife or war, when proving honor through combat is at a premium, and laws wave like flags. But by large, Altmeri duels have little stakes. They’re more like homages to dueling, and rules restrict or outlaw many duels and types of duels. The typical Altmeri duelist is likely a military mer, or one of the lower aristocratic males with no real power, to whom status is both precious and vulnerable. The great stratification of their classes and roles helps to ensure that duels will be rare and controlled. Perhaps too controlled, as duelists risk becoming outlaws for conduct which would be considered honorable elsewhere. Of course, “accidents” do happen in all manner of legal and illegal duels, leading to many controversies. And certainly, some Altmer may find more to gain in a notorious duel than a purely honorable one. The Altmer tend to duel mostly for dinner party conversation, and the opportunity to put their stamp on another person’s story. They duel for renown. Few if any Altmer duels are fought in absolute secrecy. Even if the duel was illegal, at least half the point is for certain communities to know about it. And the greater the conversation surrounding your duel, the greater the renown. While Altmeri culture retains the forms of dueling, it is averse to its functions. They’re a more intellectual, less physical race, but it’s also a matter of philosophy. They’re told that to know pain and eventual death is an insult to what the Altmeri should be. A reason to experience these things, or inflict them on a fellow Altmer, must be relatively compelling. To engage in a duel with your fellow Altmer in the first place is admitting your negotiation has failed and you must lower yourselves to violence. The Altmer do believe that to duel is to declare your honor, but they also seem to believe that an Altmer having honor is the one thing that should largely go without saying. An old joke is that in Summerset, legally dueling means hiring four barristers: two to argue why you can’t duel, and two others to argue why you don’t need to. Typically duelists have only a second to negotiate for them, but it’s true that some negotiations can still take years, and end in nothing. There are countless stories of famous Altmer in history declining duels because the honor of the insulted challenger wasn’t in their league – in skill, accomplishments, or class – which forces the challenger to bring back more and more evidence of their accolades. It’s become one of several recurring themes on dueling in Altmeri plays and literature. Dueling has thrived in sensitive Summerset thanks to being thoroughly romanticized. 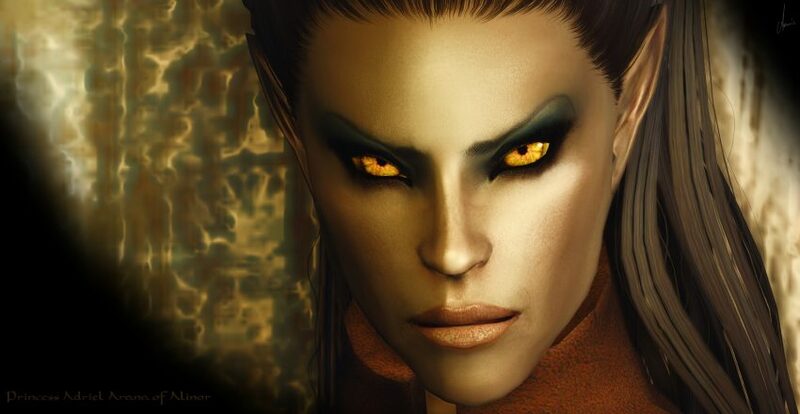 Over the ages, many young Altmer have gotten a lady’s attention by happening to mention, with great exasperation and perhaps embarrassment, that they have a dueling negotiation soon. The duel may never happen, and if it does, will likely lead to no more than a scratched arm, but it makes for interesting conversation. In this way, two young gentlemer may turn a disagreement into opportunities for them both. And it is not out of the ordinary in Summerset, as in many places, for duelers to earn each other’s respect and go on to become good friends. The rules are different for dueling with outsiders. They’re more simple and serious. Most of the formalities are abandoned, as most questions of class and precedent don’t apply. Such fine distinctions are thought mostly beyond the capacity of other races. However, for duels in Summerset, at least, a basic level of Altmeri etiquette will be demanded to satisfy archaic legal doctrines. The Trinimac-approved foils, the full reading of names, and so forth. Dueling between Altmer and other races is inordinately common, in part because of this disparity of rules. But to be blunt, the Altmer tend to attract challenges, particularly when among men and Orcs. They say something offensive but which they believe true, and often cannot lower themselves to make amends where other races might do so. Losing to another race is particularly disgraceful for the Altmer, but potentially less so than it would be to be cowed into a disavowal of truth. And, of course, they can save face later by alleging their opponent won through dishonorable means, if some rule of Altmeri dueling etiquette was broken. Though it is hard to find the relation between honor and pronouncing your opponent’s name correctly, or holding a foil in a certain way, or whether you choose to insult someone who you are legally stabbing. I, for one, tend not to call anyone a s’wit until I’m already stabbing them. Many men would call the High Elves liars, but the truth is they are generally too honest. This foible leads to tensions with each other, let alone other races. But their forthrightness is actually something respectable, and worthy of some tolerance. 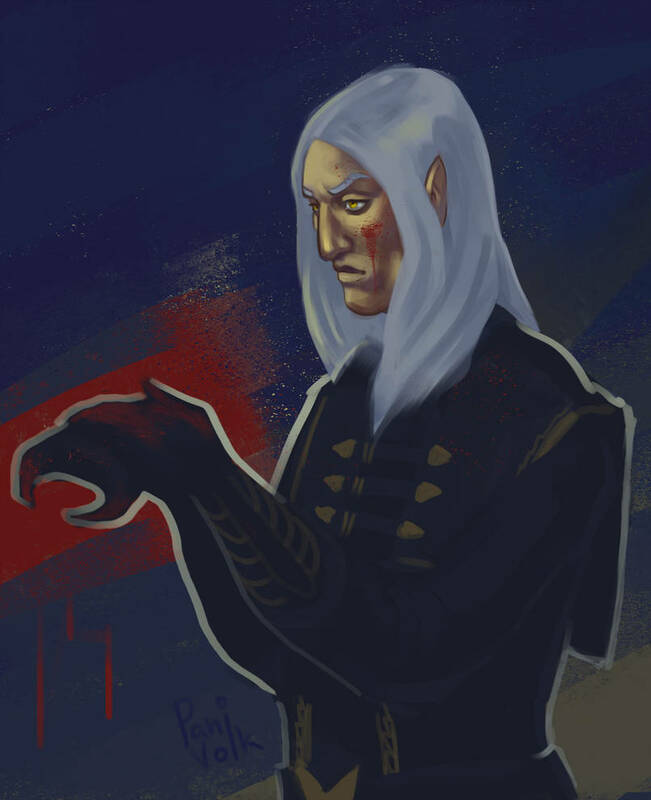 Complaining of flaws is often associated with humility and propriety for the Altmer, as ironic as it may seem if the flaw attracting their idle comments is, say, your face, or your wife’s face. Give them the opportunity to display humility and goodwill to you in their own ways before responding drastically. This is something the Dunmer have long tried to practice in our dealings with the Telvanni, and the principle translates well enough to the Altmer. I do not seek to inflame the Altmer with these words, but to help them. My hope is to reduce misguided quarreling and tragic mistakes. While the ignorant person may insult, it is far worse to insult with knowledge. Those with honor should respect the difference, and forgive the Altmer some of their more careless words. But if it comes to it, the Altmer being challenged to duel in foreign lands will expect to know at least a time, place, choice of arms, any options to yield, and above all, if the duel is to the death, this must be made perfectly clear. I have not seen many young Altmer die in foreign lands who didn’t seem to understand what they had agreed to. Still, I have seen too many. Sadly, these standards for outsiders may be outdated. Non-Altmer duelists should remain wary, for the rules of Altmeri chivalry seem to be changing for their leadership, and the rules of dueling may be among them. Even a mer who thinks himself honorable may feign agreement and then betray you, if he has been instructed that your race is incapable and unworthy of honorable duels. *Author’s Note: My publishers seek only an honest living in places where an honest living is hard enough. Nothing ill should come to them from those who claim honor. My tower, Rorzel, is in the jagged icy peaks of the western Reach, roughly midway between and far north of Evermore and Markarth. I collect black and gold banners which happen by. If you must find it, come. Make my collection grow.